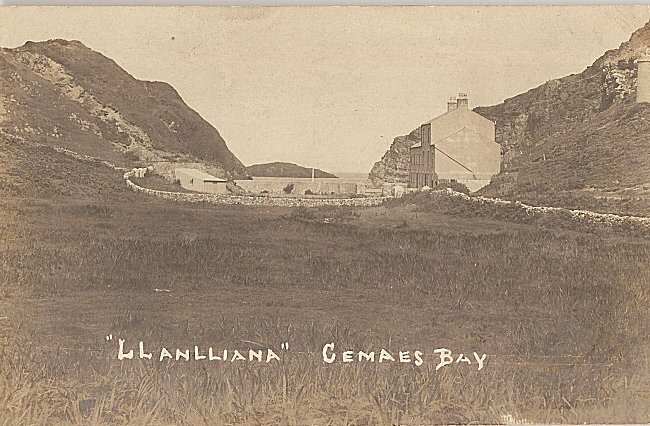 Between Porth Wen and Cemaes Bay are the remains of Llanlleiana porcelain works which is situated at the most northerly point in Wales. 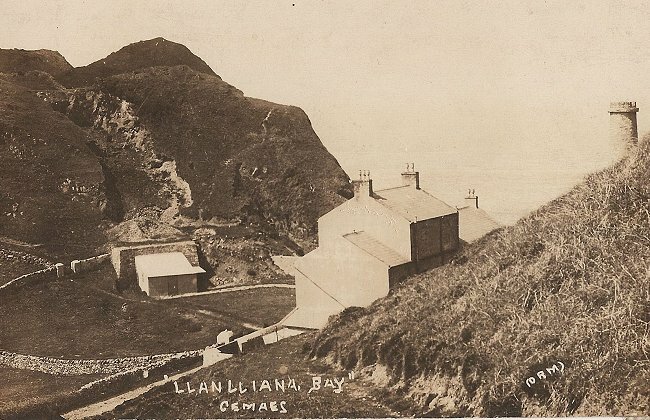 It produced porcelain from deposits of china clay found on Dinas Gynfor nearby. The works consists of a main building and a remote chimney, this was to direct the noxious fumes away from the working areas. The works closed in 1920 after being damaged by fire. Thanks to Norman Sheldrick for the above information. Further information on the immediate area can be read here in the form of notes by the Rev. W. Richards and written in 1923. 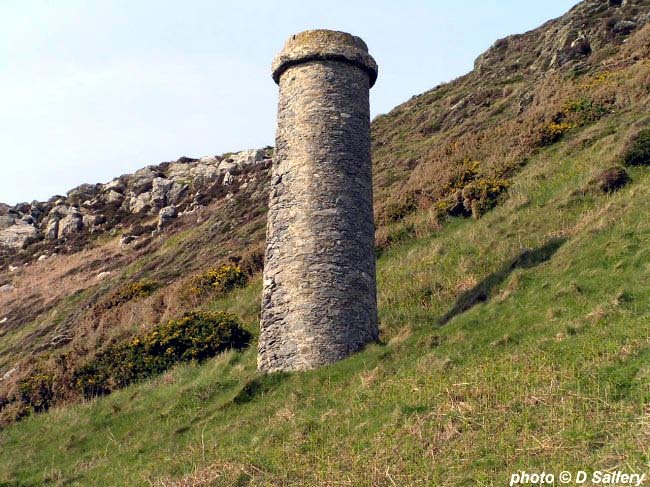 The works is next to the Anglesey coastal path and may be accessed by following the path east from the church at Llanbadrig or west from Porth Wen. This path involves some quite strenuous walking. Any further information on this site is most welcome, please contact me here. 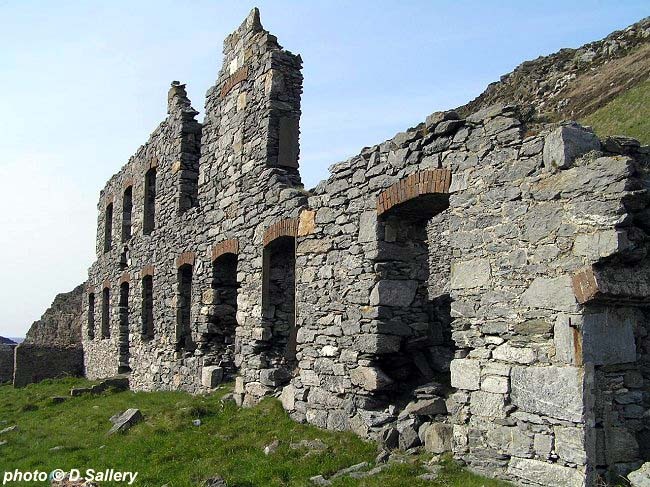 Llanlleiana means "church of the nuns" and the works were built on the site of a convent. The wall to protect the works from the sea can be seen on either side of the flagpole. 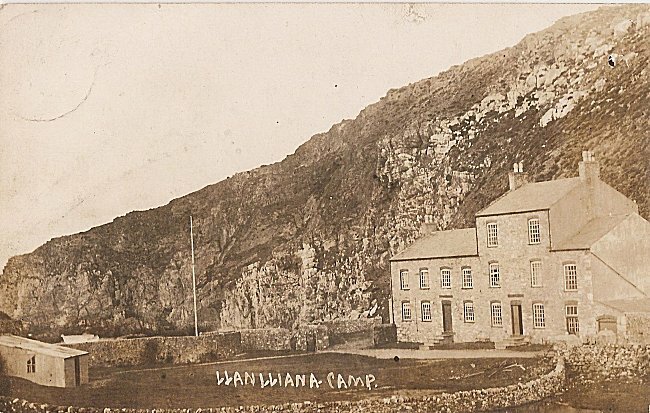 The building was also known as 'Llanlleiana Camp' as it was used by Boy Scouts prior to the First World War. 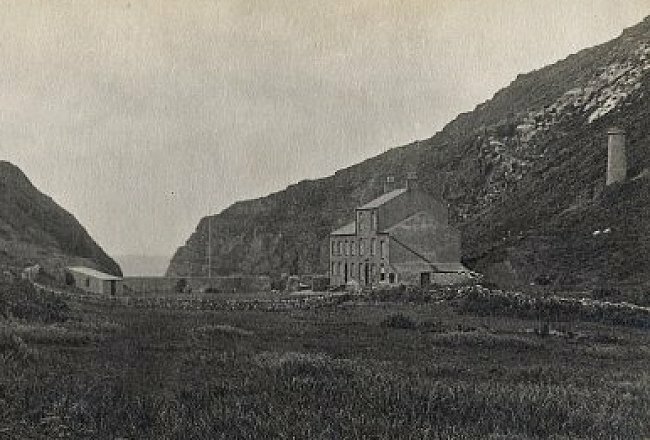 The small quarry where the china clay was dug is on the opposite hillside. 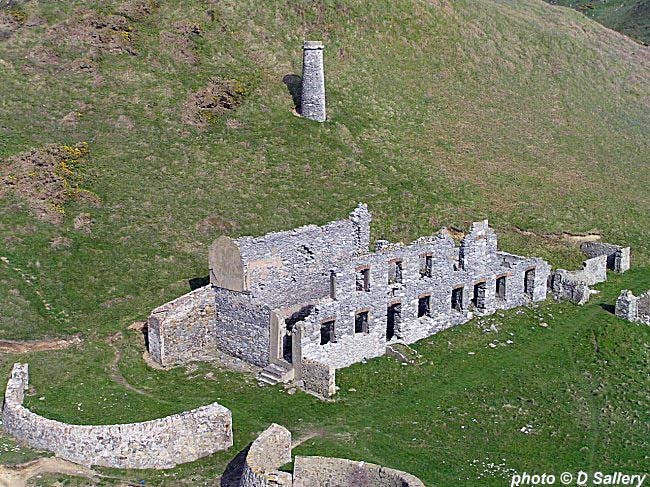 Probably the corrugated iron roofed building contained crushing machinery for the rock. The crushed rock would then have been wheeled across to the works on the stone flagged path.